Each year since 2002, Texas Appleseed has honored leaders for their contributions to the community at our Good Apple Dinner. 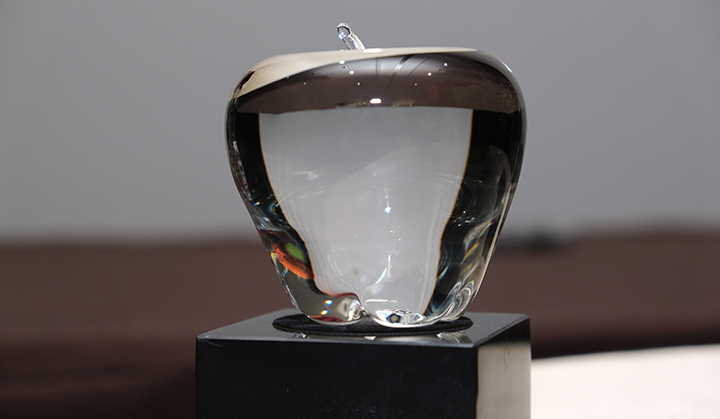 The Board of Directors awards the J. Chrys Dougherty Good Apple Award as our highest recognition to luminaries that have helped shape Texas for the better and whose work has inspired us all. We also present our Pro Bono Leadership Award to individuals and firms who have provided much-needed pro bono service to Texas Appleseed on our urgent issues. These firms have offered critical help to Texas families and individuals who didn’t know where else to turn. Our annual gala also allows us to recognize other groups and individuals with special recognition awards for the important work they’ve done in their communities and across Texas. The Good Apple Dinner is successful in furthering our justice work because of the integral support of major institutions, law firms and countless individuals who want to see positive change in Texas. The dinner is a who’s who of Texas, attended by attorneys from major law firms, judges and chief justices, other local and statewide public officials, university leaders, corporate leaders, and many other committed individuals. We thank our supporters for their continued pursuit of justice. The Good Apple Dinner is also just a plain good time. It’s a time to reconnect with old friends and make new connections, all while helping further justice for all Texans. The next Good Apple Dinner gala will occur November 2019.